Enjoy a healthier way to see with the Revive LED Floor Lamp. Part of the new OttLite Wellness Series, this elegant metal lamp features our exclusive ClearSun LED technology that comes as close to the sun’s spectral output as you can get. 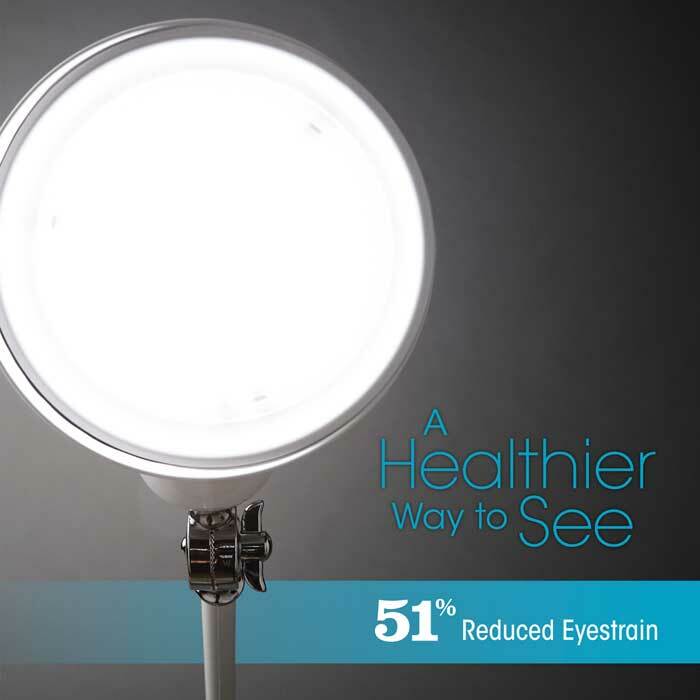 It’s balanced, smooth and proven healthier for your eyes! 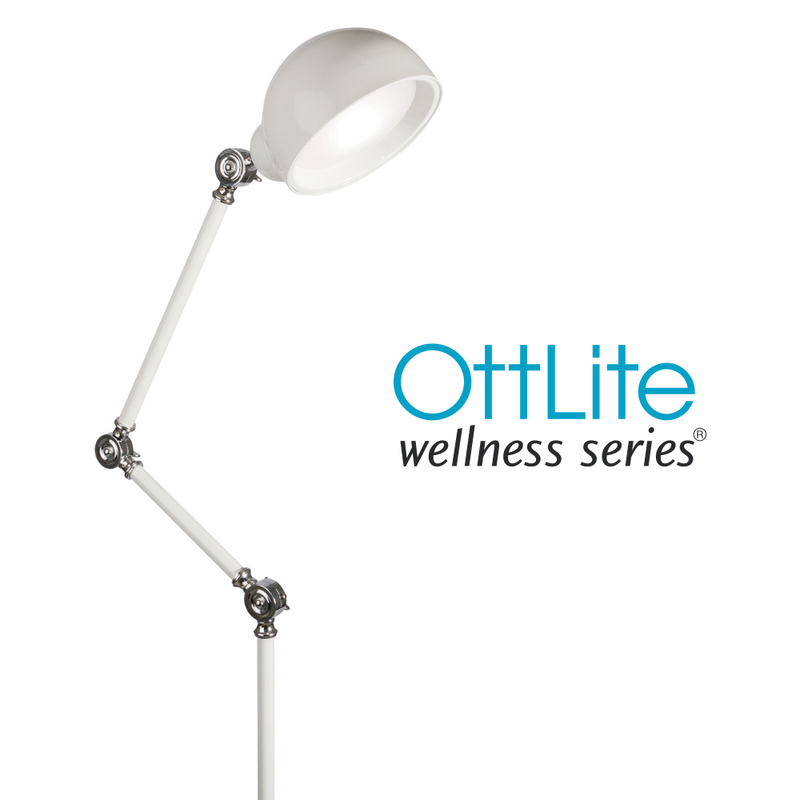 You’ll experience up to 51% eyestrain reduction making the OttLite Wellness Series the healthiest light you can buy. 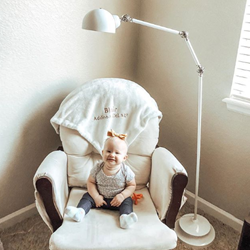 Madeline Delage - "Miss Blair & I are loving this OttLite lamp in her room. 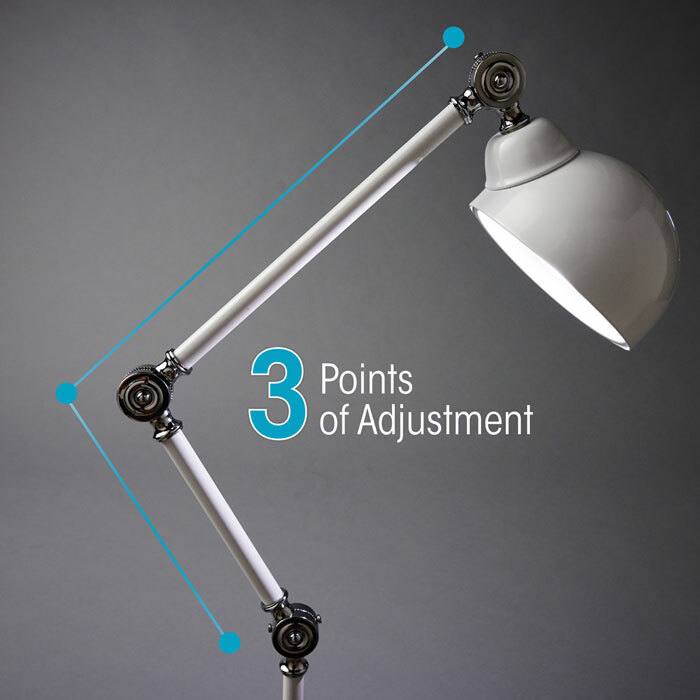 It has 4 brightness settings that you change simply by tapping, 3 points of adjustment and it reduces eyestrain by 51%!" 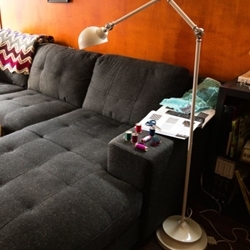 The Shibaguyz - "The Revive Floor Lamp looks right at home in our living room. 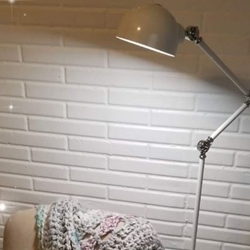 When it's time to clear out the crafting for entertaining, no need to move the craft lamp to another room. Clean lines, modern and sleek... stylish (like us)." 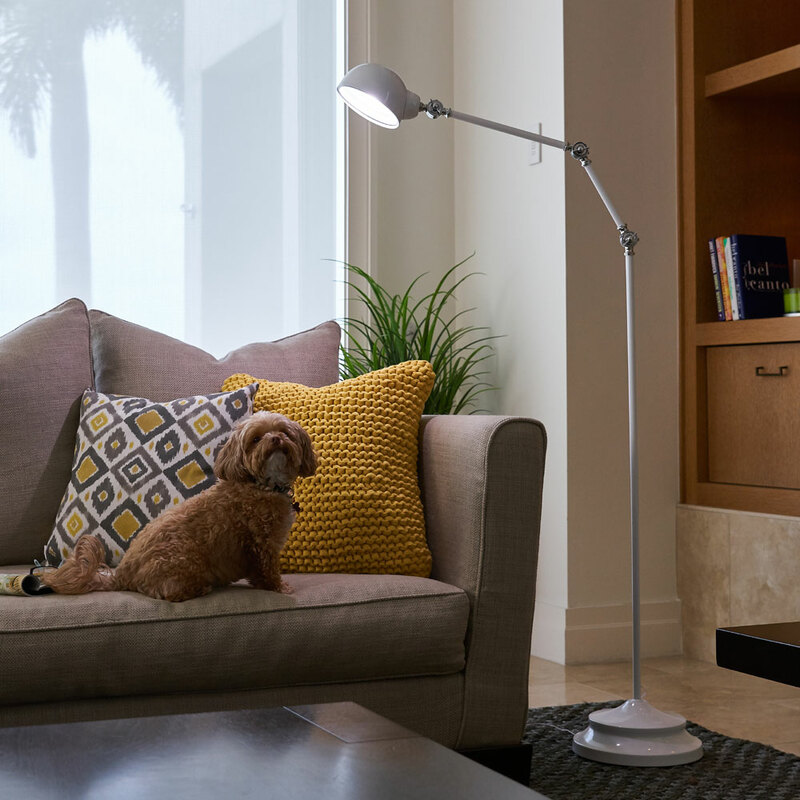 Moogly Blog - "The OttLite Revive LED Floor Lamp is absolutely gorgeous – I can’t wait to start using it. 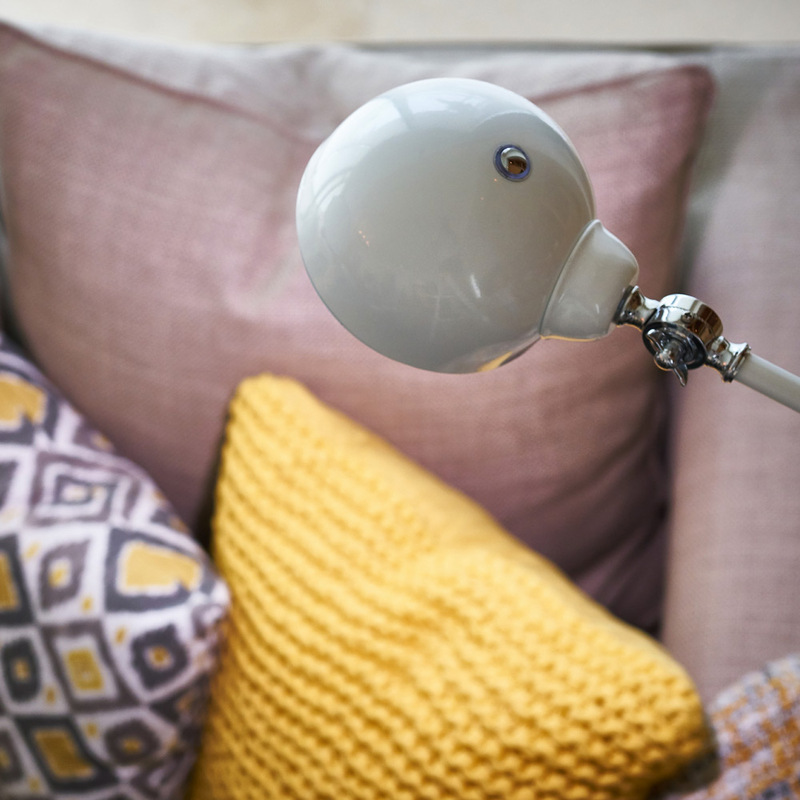 Without my OttLites, I wouldn’t be able to do nearly as much blogging and crocheting – they are such a valuable part of my daily life!"